How Much Fluid Should Dialysis Patients Remove During Dialysis To Improve Their Outcomes? Recently a Chronic Kidney Disease patient conducting Hemodialysis wrote, "How much fluid should I remove during my Dialysis treatments? I am always feeling tired, dizzy and nauseous after my treatments, and want it to stop." If you are looking for an article on how to generally feel better after Dialysis, we have written several, take a look at the "Most Popular Stories" below. But the woman who inquired, asked an interesting question, one we have not previously addressed: "How MUCH fluid should I remove..."
At its most basic level, Dialysis is an attempt to remove fluid build-ups in your body that can cause edema (swelling), shortness of breath, weight gain, High Blood Pressure, headaches, weakened heart muscle, and eventually heart failure caused from too much fluid stretching the heart muscle. Hemodialysis filters the blood to remove excess fluid from your blood to get you down to your dry weight (weight without the excess fluid that builds up between dialysis treatments). If you are looking for a specific number that applies to every patient it does not exist. Some use 2.5-2.6 liters per 3 hour treatment or 0.8 liters an hour as a reference for a "good cleaning." Its far more of an "art" because there is no one reliable scientific way of measuring dry weight in general. For most cases, dry weight is an estimate determined by your doctor, based upon your best normal blood pressure, the absence of edema, neck veins that are not distended (visibly inflated), the absence of lung sounds (rales and crackles), no shortness of breath or congestive heart failure, and a normal size heart shadow on X-ray. Still a frequently missed step that can assist in improving your Dialysis treatment outcomes is assessing your dry weight every three to six weeks and adjusting when you gain or lose actual weight. Also, to improve your outcomes be sure to watch your fluid intake which you probably already know and are doing. A good rule of thumb for most Dialysis patients is to limit fluid intake to 4 cups per day. Still, talk to your Dietitian about your individual needs. If you found this article useful, I would like you to log into Facebook right now and share it with at least one of your friends. We will be very grateful and so will they. "Treatment Methods for Kidney Failure: Hemodialysis." Http://kidney.niddk.nih.gov/. National Kidney and Urologic DiseasesInformation Clearinghouse (NKUDIC). "How Dry Weight and Fluid Gain Affect Dialysis Patients." Davita.com. DaVita HealthCare Partners Inc.
"How Much Fluid Do You Take off during Dialysis?" Http://bigdandme.wordpress.com/. Big D and Me. 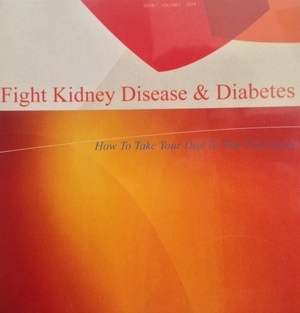 LEARN HOW A 15 YEAR DIALYSIS PATIENT CHANGED HIS LIFE USING SIMPLE AND REALISTIC STRATEGIES. CLICK HERE. DO YOU WANT TO GIVE A GIFT, OR HAVE A SPECIFIC DIALYSIS RELATED NEED? CHECK OUT THE SHOP SECTION HERE! HANDY TOTE BAD TO HOLD ALL OF YOUR DIALYSIS ESSENTIALS. GET IN, PACK UP, AND GO! BUY NOW! DIALYSIS IS REALLY A PAIN IN THE ARM! LET EVERYONE KNOW. GET IT NOW!